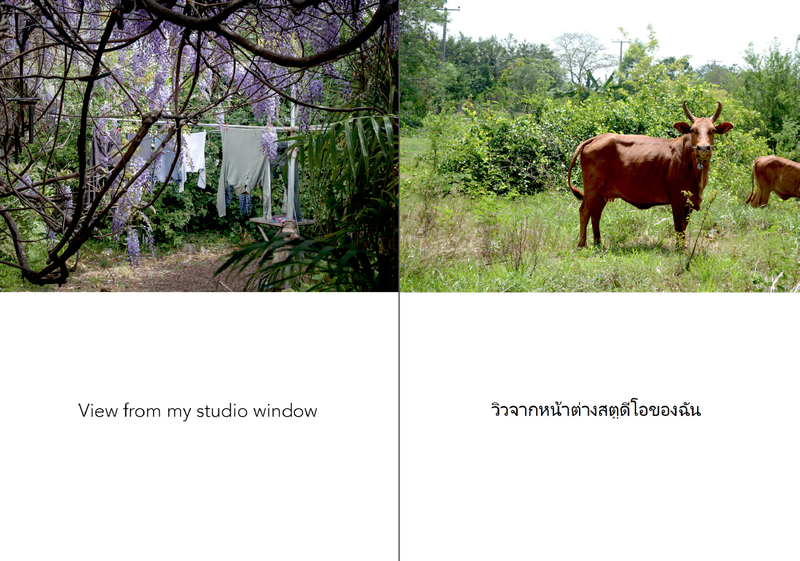 Between December 2013 until April 2015 Elysha Rei was working on a Masters of Business Administration project to develop an artist in residence program at Sam Rit in rural north-eastern Thailand. We had known Elysha for some time as an artist and director of Made Creative Space in Toowoomba. 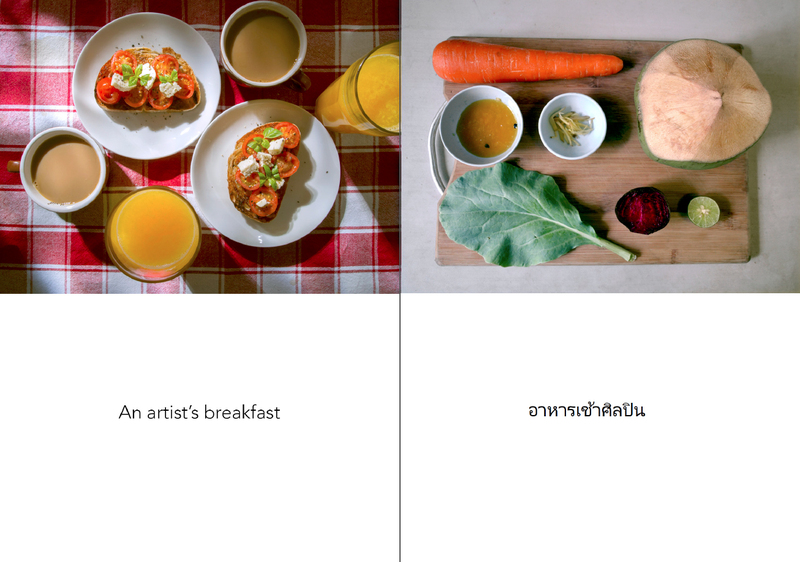 The Sam Rit project meant that she and son Kairo moved to Thailand for over 2 years and we followed Elysha’s activities on Facebook with interest on how her project was progressing. In August 2014 Elysha made a Facebook post in which the comments made seemed to indicate she was missing Toowoomba and her friends. 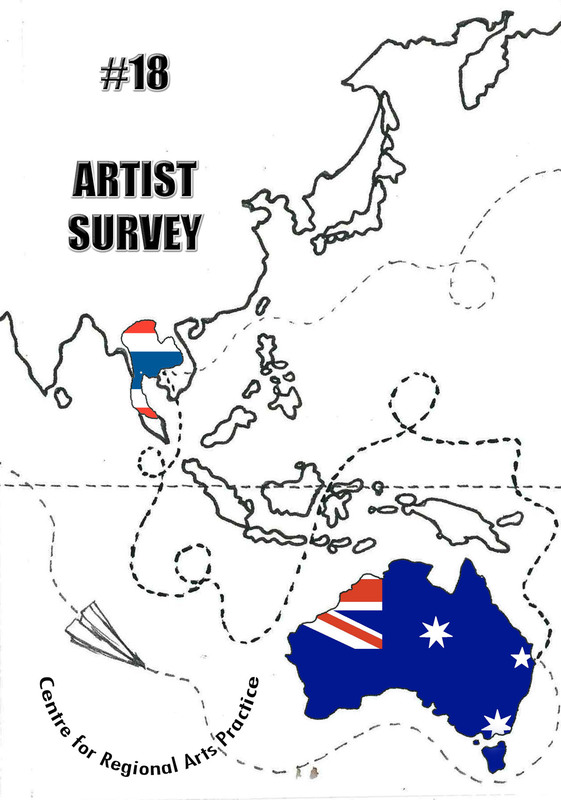 We got in contact and suggested that we collaborate on a mail art project – something that connected her experiences in regional Thailand with the familiar space of Toowoomba, Queensland Australia. 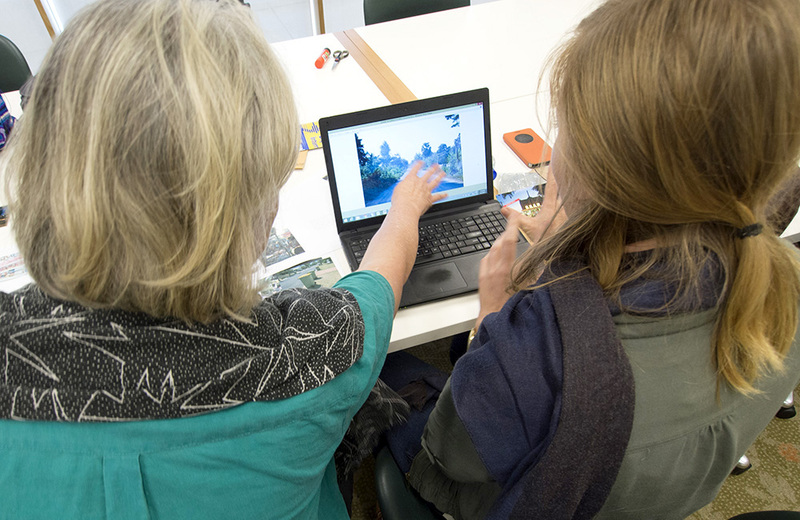 Ideas were exchanged and the project began with making photographs of our different everyday surroundings and the thought that they would be presented as comparative pairs. 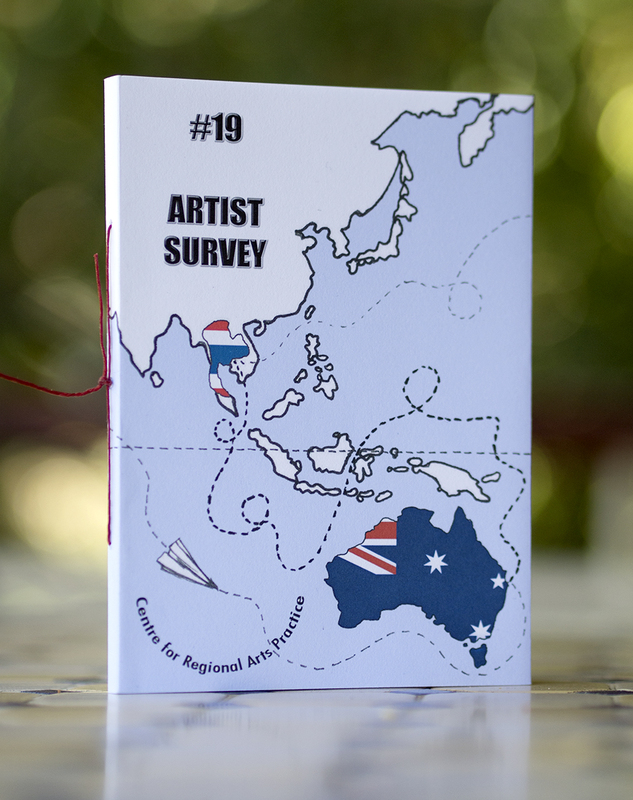 Since 2007 we had made little Artists Survey books as part of our activities in the entity we founded – Centre for Regional Arts Practice (acronym C.R.A.P.). 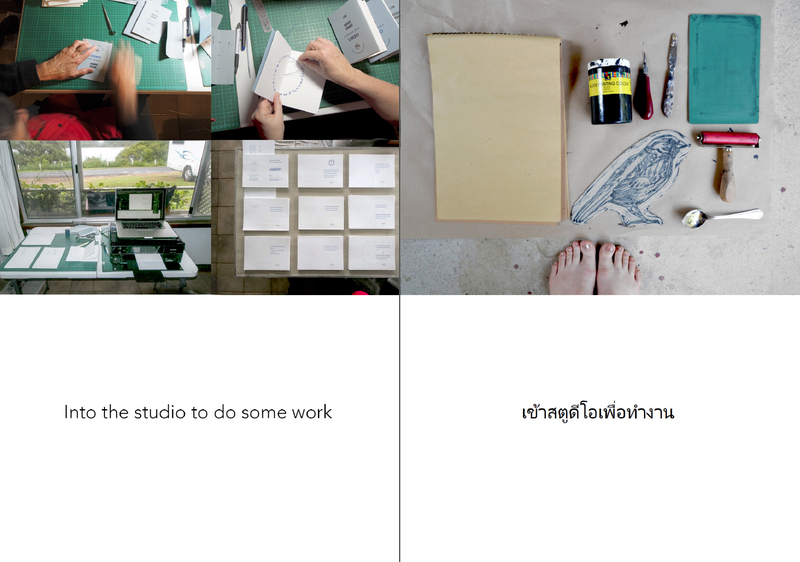 So the project that we were undertaking would be published as edition #19. A story on earlier C.R.A.P. 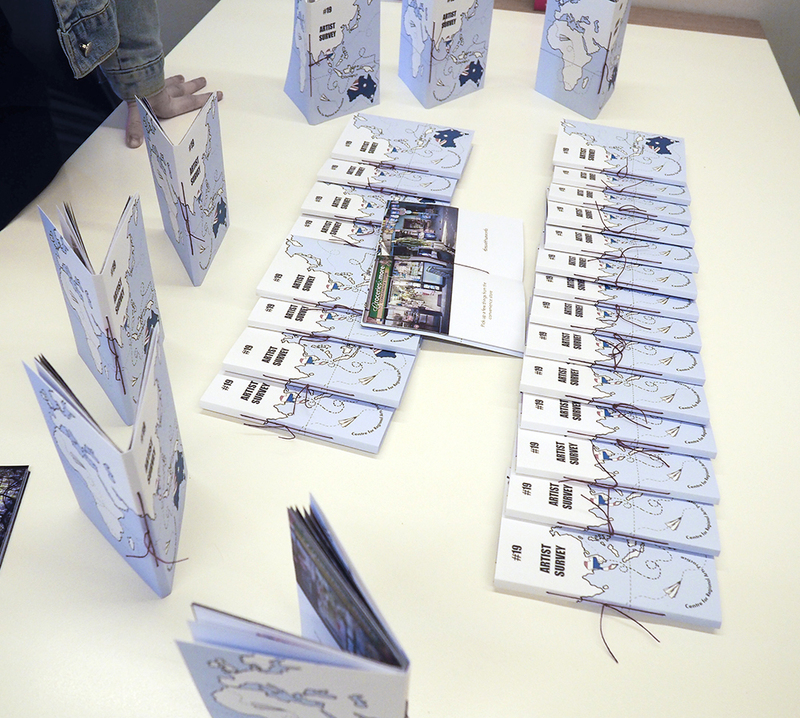 editions and an event celebrating the Artist Surveys can be found HERE. 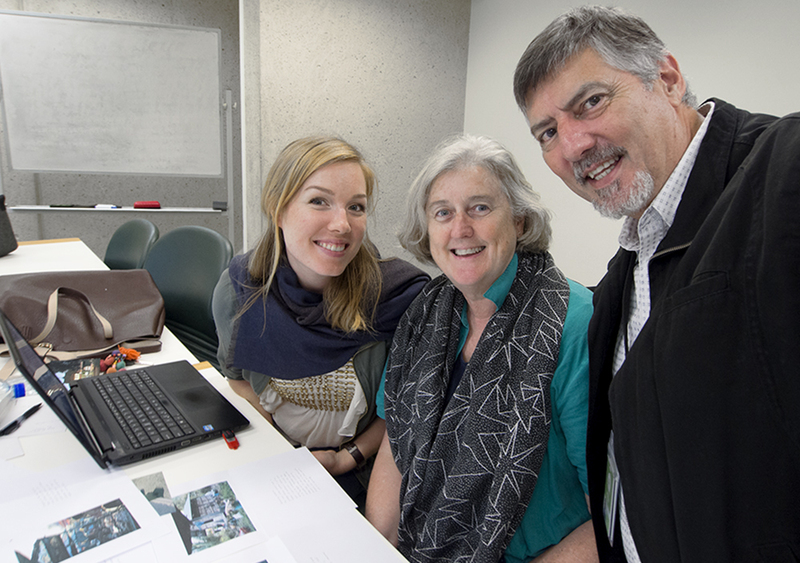 When Elysha returned briefly to Brisbane in January 2015 we worked through the progress to date in a meeting room at the State Library of Queensland. Images were ‘paired’ and other images, yet to be taken, were identified as well as other project discussions around other project details. 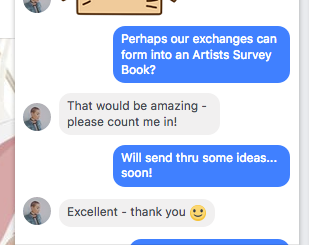 Our lives became busy with work and travel so continuing work the #19 Artist Survey book lapsed although a design was developed by Elysha for the extended cover of the book. 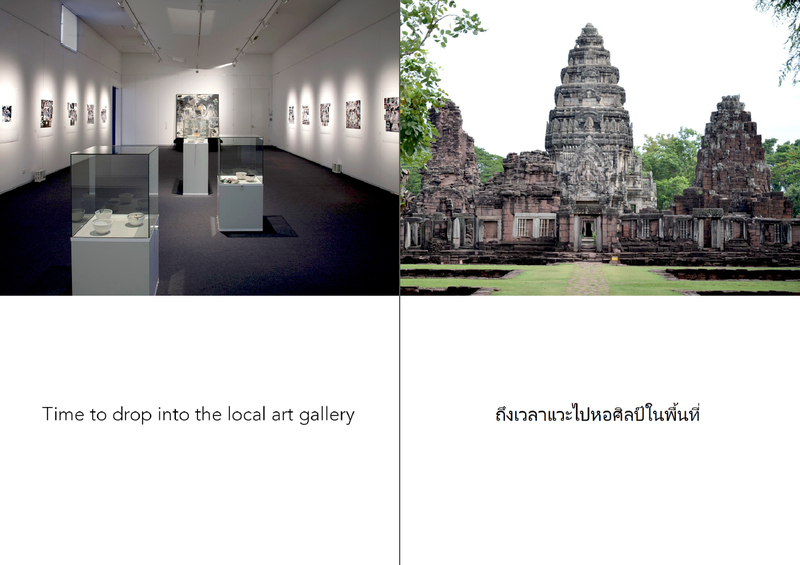 Elysha also coordinated the Thai translations for the text. 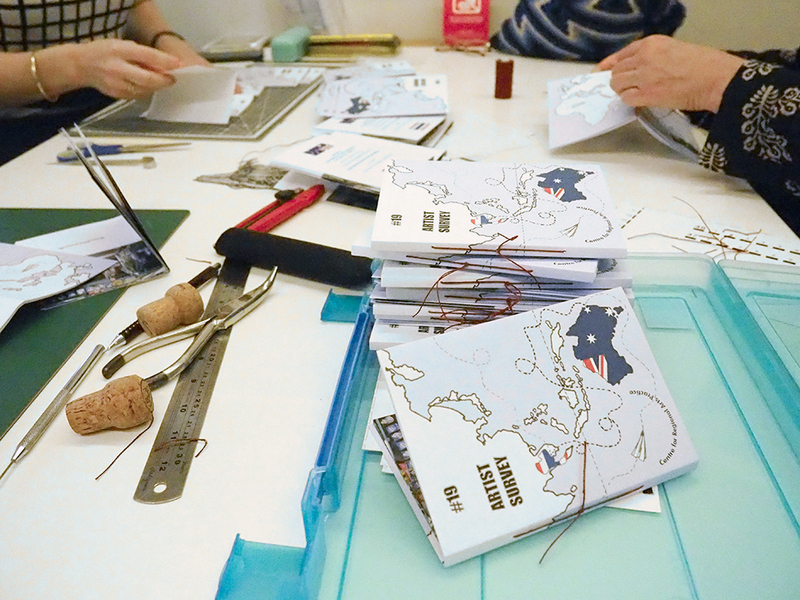 And Vicky and Doug developed the design of the book. Occasional connections were made to keep the project alive but at no time was there any thought that it would not reach its conclusion. Not daunted by huge issues at the beginning of the year Elysha connected with us to finalise the project. 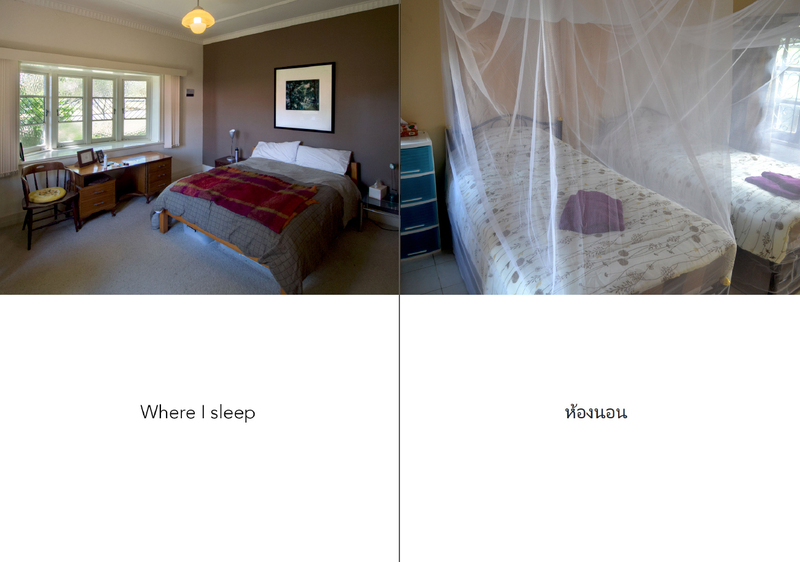 Final text and colour corrections were made to the InDesign document and the file was sent off to MomentoPro in Sydney for the pages to be printed. The cover was printed separately in Brisbane by us. 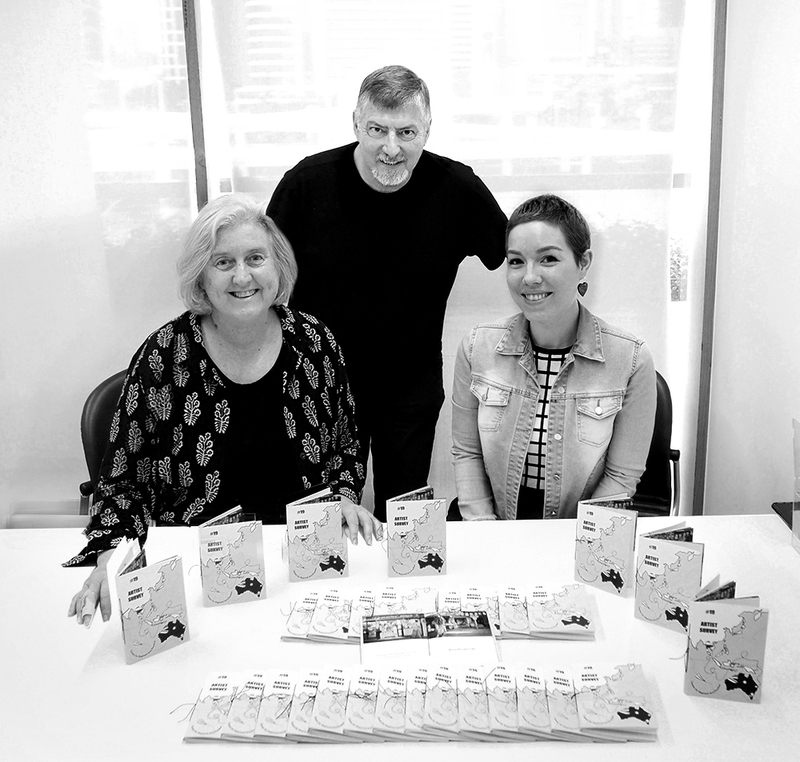 On the 28th of July we met again in a meeting room at the State Library of Queensland to collate, fold, sew and sign the 30 copies of the book. A limited number of the books are available for purchase for $25+pack&post – contact us if you would like to order a copy.